Over the weekend, the NHL staged their latest Winter Classic outdoor game, a matchup that pits two teams outdoors, in the elements, hearkening back to hockey's roots...or at least, that's the nostalgic frame the NHL is selling us. 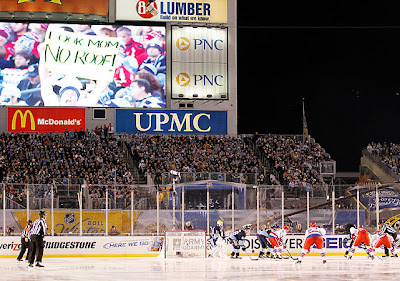 Anyway, the event took place at Heinz Field in Pittsburgh and featured the hometown Penguins against the Washington Capitals. 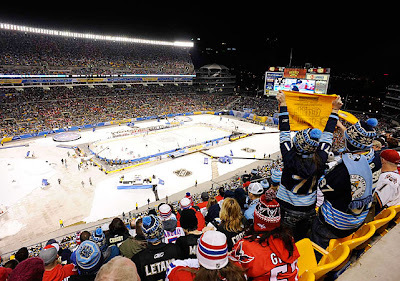 The Caps took the win in the league's 4th annual event, which was postponed to an 8pm start time due to rain, but garnered the highest ratings of any Winter Classic and was the most watched regular season NHL game since 1975. 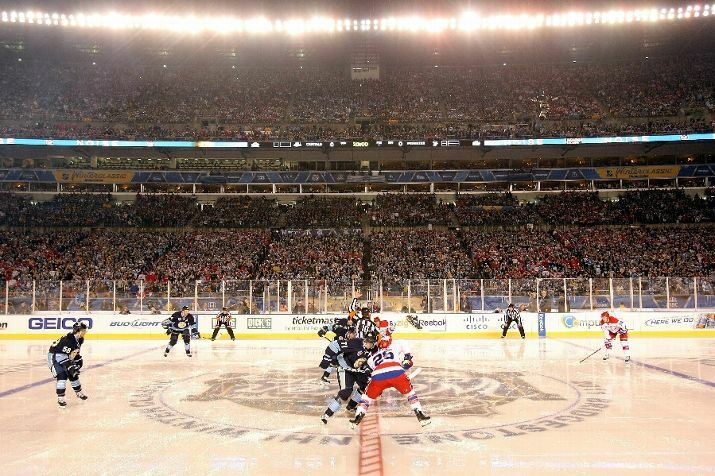 The lead play-by-play announcer Doc Emrick couldn't resist the word "spectacle" at least 3 or 4 times during the NBC telecast. Here's what he meant by it. 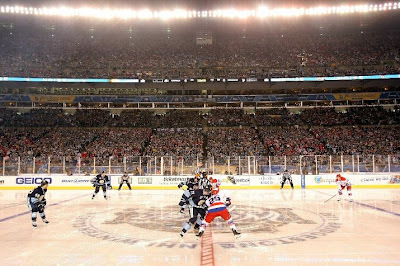 Well, when it comes to spectacle, the ATP (Association of Tennis Professionals) saw the NHL spectacle and attempted to do it one better. 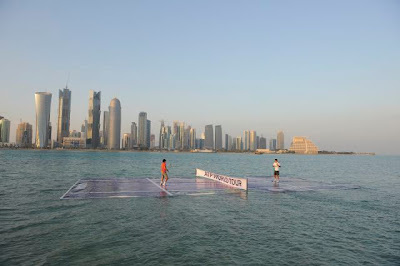 Borrowing the out-of-place playing field notion, with the Penguins and Capitals tussling in an NFL stadium, the ATP put its two top male players - Roger Federer and Rafael Nadal - on a floating tennis court in the middle of Doha Bay, Qatar, to publicize the start of the 2011 ATP season. Now, the ATP has been known to pull out all the stops to promote the beginning of the tennis season. 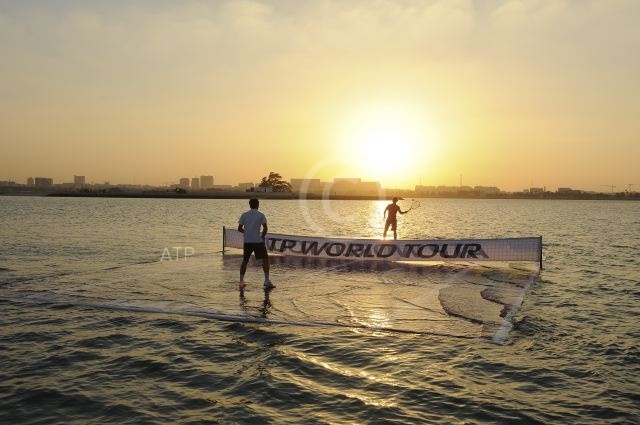 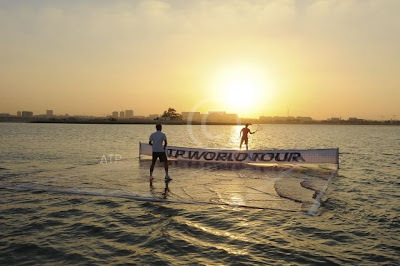 The last two New Year's Days in Doha featured Rafa and Federer playing atop a floating magic carpet (2009) and on a platformed boat (2010). 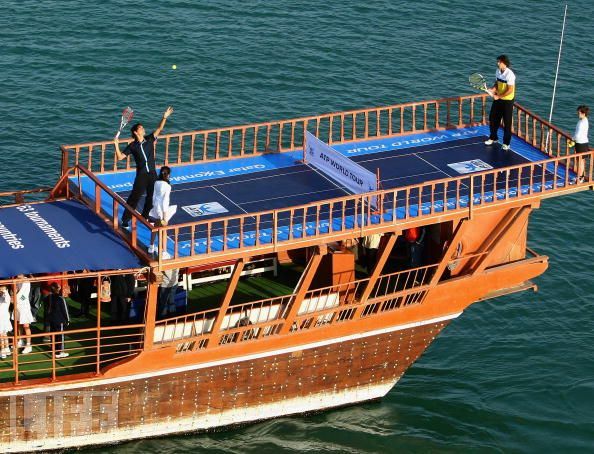 But with the two tennis greats facing each other on a floating court, NHL, consider the stakes for spectacle raised. 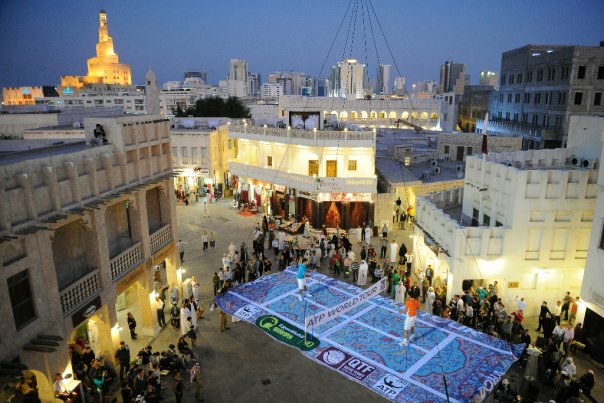 French football and symbolic killing?